Banks in the Philippines fulfill customers’ varied banking needs. Banks like Unionbank, Banco De Oro and others serve the shots. These institutions are solid, stable and packed with reliable services. Banks in the Philippines have been highly instrumental in shaping the financial infrastructure and development of the country. The Philippine banking system has 19 universal banks, 53 commercial banks, 117 thrift banks, 829 rural banks, 40 credit unions and 15 non-banks with quasi-banking functions. The Bangko Sentral Ng Pilipinas (BSP) is the central bank of the Philippines. It was established in 1993 replacing the Central Bank of Philippines which was established in 1949. BSP is the country’s central monetary authority. It enjoys fiscal and administrative autonomy from the National Government in the pursuit of its mandated responsibilities. It has three regional offices and 18 branches nationwide. Banco de Oro (BDO) is a major bank in the Philippines. Owned by the SM Group of Companies, BDO is a full-service universal bank. It started as a thrift bank called Acme Savings Bank in 1968. Showmart retail magnate Henry Sy acquired Acme in 1976 and renamed it to Banco de Oro. It became a commercial bank in 1994 and eventually a universal bank in 1996. It has 740 operating branches and over 1,500 ATMs nationwide. The largest foreign bank in the Philippines in terms of customer, assets, revenues, and employees. It is the largest commercial bank in the Philippines. It employs 4,200 employees people mainly domestic Filipinos. It is a branch of Citibank US. Citibank Philippines was established in 1902. It is the first bank in the Philippines to offer wealth management services. It started mobile phone banking in 2008. It has 1.2 million credit cardholders as of yet. Bank of the Philippine Islands or BPI is the oldest bank in the Philippines. It is one of the Philippines' biggest universal banks and the country's largest in market capitalization. It is owned by the Ayala Corporation. BPI is also the oldest bank in Southeast Asia. It pioneered rural banking in the Philippines. UnionBank is owned by the Aboitiz Group, Insular Life and Social Security System. It started operations in 1981 and became a commercial bank the following year. It became a licensed universal bank in 1992. It is the country’s 7th largest in assets. UnionBank started the Philippines's first bank website. 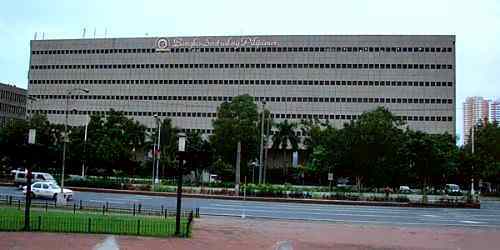 The Philippine National Bank (PNB) is one of the largest banks in the Philippines… fourth in assets. It was established by the Philippine government in 1916 and became the country’s first universal bank in 1980. It was privatized in 1989. It is now under the control of the Lucio Tan Group. This huge bank was founded in Binondo, Manila in 1962 to provide financial services to the Filipino-Chinese community. It is the Philippines’ premier universal bank and among the foremost financial institutions in the country. It offers a full range of banking and other financial products and services. Security Bank is among the Philippines' top private domestic universal banks with 133 branches nationwide. It was established in 1951. It became a universal bank in 1994. This bank was established in 1963 and is 100% owned by the Philippine government. It focuses on serving farmers and fishermen. It is a "specialized government bank" with universal banking license. LBP is the fourth largest bank in the Philippines in assets and is the largest government-owned bank. It is among the top five commercial banks in the country in deposits, assets, loans and capital. This bank is the local unit of HSBC UK. It is also one of the oldest financial institutions in this country…it started at Binondo in 1875. HSBC offers you a suite of individually tailored products and services. This bank was established in 1920. It is the Philippines' fourth largest universal bank by market capitalization and is the country’s first privately-owned commercial bank. It is also the first bank in Southeast Asia to process deposit accounts on-line in 1969 and the first Philippine bank to offer phone banking in 1988. Banks in the Philippines hardens the local banking industry indeed as they fulfill various banking needs. These banks are solid, stable institutions packed with reliable services to meet your simple-to-elegant banking needs. They are your best partners in managing your financial resources. Want to find out more about banks in the Philippines?